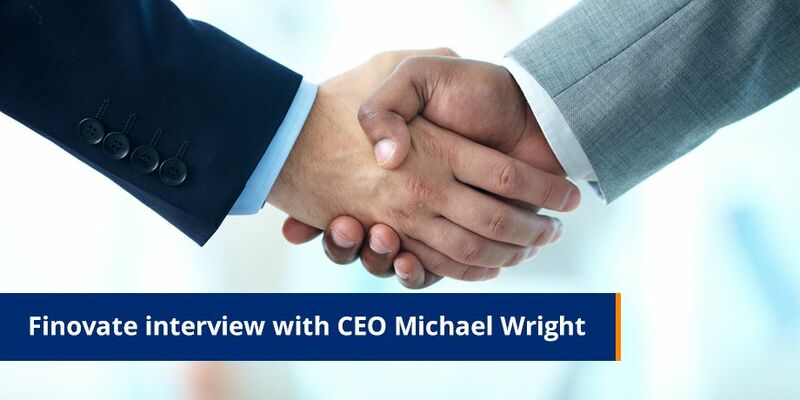 This month Finovate interviewed Michael Wright, CEO of Striata, to get a look inside of the New York-based company’s email billing solution. Striata has presented twice at Finovate, both at FinovateEurope 2011 and FinovateEurope 2012. Finovate: What sparked the idea behind Striata? Wright: We started life as an email company, and as our knowledge and understanding of the email world grew, we decided to specialize rather than just be a generalist. Electronic billing was in an embryonic stage and using email to deliver a bill seemed like a no-brainer. We quickly discovered that we were pretty much pioneers in utilizing email as a delivery tool, as everybody else was using a website. All the fundamentals of a good business were there; disruptive technology, short ROI, environmental benefits and a first mover advantage. Finovate: How have you seen the e-billing industry change since launching Striata in 1999? Wright: There have been a number of phases in the eBilling world and it almost feels like it’s coming full circle. In the very beginning, everybody wanted to be the gorilla consolidator and to paraphrase my favorite movie (The Highlander) ‘there can be only one’. Most of the consolidators were too premature for the market and the eBilling space moved on to a biller direct model, pulling consumers back to a website. This gained some traction, but quickly plateaued. For many years adoption of eBilling stagnated between 5% and 15% globally. Emphasis then moved to online banking bill pay, but this has only had a limited impact in turning off paper. We’re now seeing the second tide of consolidators enter the market, but the fundamentals are the same – ‘there can be only one’! Right now no-one knows who to choose. In parallel, the ‘Push’ email billing model is growing from strength to strength, with adoption rates averaging between 50% – 90%. Finovate: You’re a global business, what are the challenges of opening a business in different markets? Wright: We quickly realized that our software and solution was globally applicable, and after a recce to the U.K. and U.S.A. we made plans to expand into both these regions. We subsequently opened an Asia Pacific operation with offices in Sydney and Hong Kong. In each of these regions, we sent someone we knew to be our pioneer. This meant that we had an immediate alignment of culture and understanding, but no network. In hindsight, the jury’s still out on whether this was the best idea. Each region has its own nuances, business processes and low hanging fruit – the trick is to go into each region with an open mind as to what will work. It is however clearly evident that you have to have a permanent presence to establish your bona fides. Finovate: You use email as an alternative to the post office, how do you develop the trust in the medium? Wright: In today’s ‘always on anywhere’ world, email is part of the fabric of our lives. Striata is at the forefront of email authentication tools and techniques. For us, every message matters because it impacts on the cash flow of our clients. We focus on the deliverability of our messages far more than the average ESP. Our clients start to appreciate the value of an email address as an operational tool as opposed to just a marketing opportunity. Finovate: Can you share what are you seeing in terms of Striata’s e-billing usage, adoption, growth, and cost savings? Wright: We have a great opening line to our conversations “we guarantee you a savings of 50% on your paper delivery costs”. Our ROIs are typically 3 – 6 months and we are double, if not triple, the market average for customer adoption of paperless processes. We focus on turning the paper off, not just turning the electronic process on. This is important because the market suffers from ‘double-dippers’ who sign up for electronic billing but then don’t turn the paper off. Each year is a record year for Striata, as our existing volumes increase substantially and as we sign up new billers. Finovate: What advice would you give to a biller who is using Striata for the first time? Wright: “You’ve made a good choice, now please listen to my team’s advice. They have done this before and they understand how to make this a success. Don’t accept anything that is not automated in your internal and external processes, especially data hygiene. Take every opportunity to collect and update your email database. We welcome your feedback and are keen to prove both our service delivery and the solution at every point”. Finovate: Why should competitors fear Striata? Wright: It’s taken 10 years for the market to realize that they require a multichannel approach, including print, online and email as well as potentially banks and consolidators. Each of these is attractive to a segment of the market; however the biggest segment always tends to be email. Striata has over a decade of experience in doing this and our competitors are trying to play catch up, which is tough because every year our customers request new features – this means we are continuously innovating in this space. Finovate: How do you see Striata expanding its operations in the future? Wright: We’ve only just scratched the surface. Globally, there are over 100 billion bills, invoices and financial documents printed every year – each one of these is an opportunity to suppress the paper. We are seeing a huge interest in secure document delivery of related documents that are not necessarily bills, but go to customers on an ad hoc or regular basis. Every letter or document is an opportunity to interact digitally; bill payment, online signatures and meter reading requests are all examples of value added services our clients are using.